Jasper Woodcock, age 92, of Brownsville departed this life on Saturday, November 24, 2018 at Edmonson Health Care Center. The Edmonson County native was born on September 17, 1926 to the late Noah and Millie Vincent Woodcock. He was married to the late Dessie Hayes Woodcock. 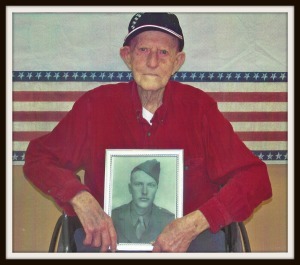 Jasper was a WWII Army veteran serving overseas and a construction worker. He was the candy man as he loved to give candy to everyone and always had his pockets full. His passion after retirement was fishing, hunting and working in his garden that he grew and gave away. He was saved as a young man at Jock United Baptist Church. He leaves to cherish his memory-- one son, Larry Woodcock (Janette) of Bee Spring; one daughter, Marilyn Lyons (Chuck) of Louisville, KY; six grandchildren and eleven great grandchildren and several nieces and nephews. He was also preceded in death by one daughter, Janet Simon Meredith and one grandson, Travis Woodcock. Interment will be in Bee Spring Church Cemetery with military honors by the Nesbit Alexander Memorial VFW Post # 6937 VFW. Memorial contributions may be made to Bee Spring Cemetery, c/o Mark Rich, 2317 Mammoth Cave Rd., Brownsville, KY 42210.